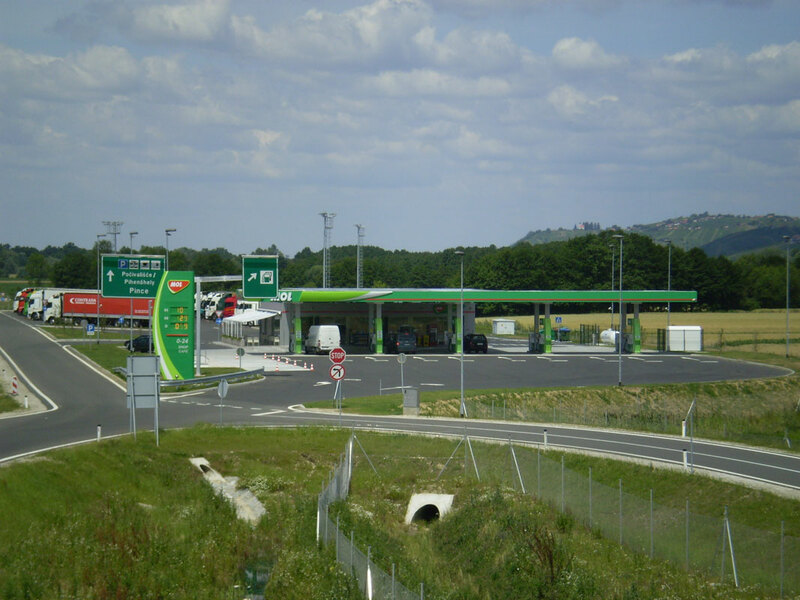 The service stations Pince-North and Pince-South are important rest areas at the Hungarian border on highway A5. Due to increased heavy traffic in this area, special attention had to be paid to providing sufficient parking areas for heavy trucks. 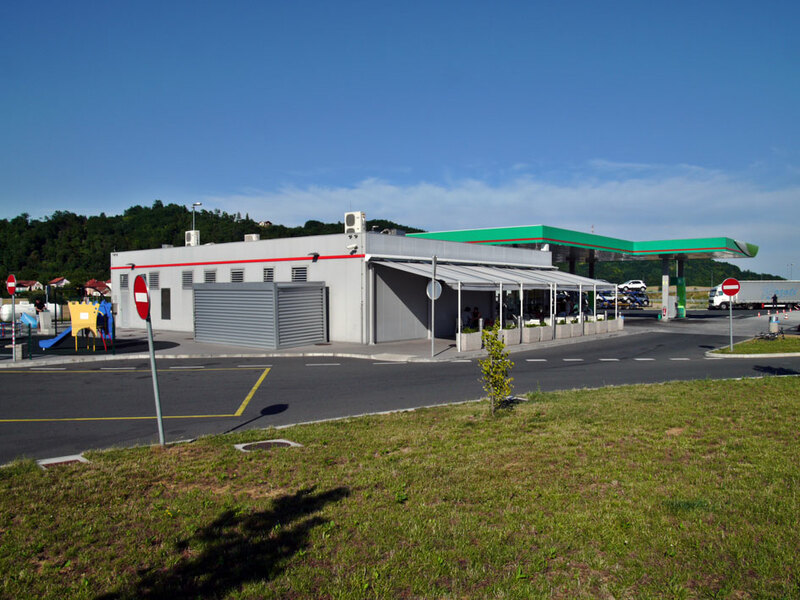 The station is a standard building of the petrol station EVO2 which includes a store with a coffee bar with a porch, wherein the total surface of each sales area amounts to 113 m². The service area has a totem and a children’s playground. The gas platform includes 5 filling islands. 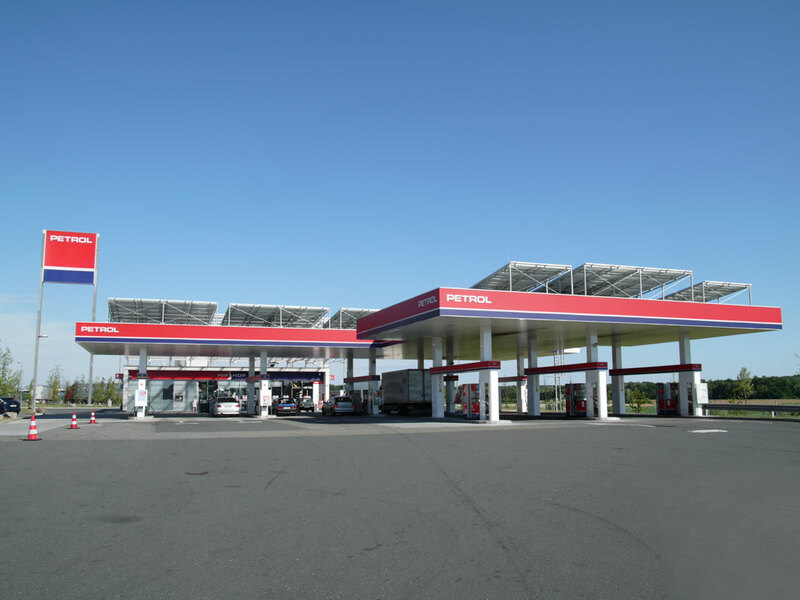 A large area with a parking lot and a rest area are part of the service station to the west of the gas station. It consists of parking lots for buses, campers, heavy trucks and personal vehicles. There is a resting area on the western side of the platform. Campers have electrical plug-ins, water supply and sewage plug-ins available. The platform is provided with three lamps located on islands. The platform with the parking lot and the rest area connects to the servicing road on the southern part of the service station. The entire area covers 2 × 15 000 m². Project typeBencinski servis in plato s parkirnimi prostoriLocationA5 Maribor–Pince; odsek: Lendava–Pince; pododsek: km 13+000–km 13+300; SlovenijaArea30,000 m²Inv. 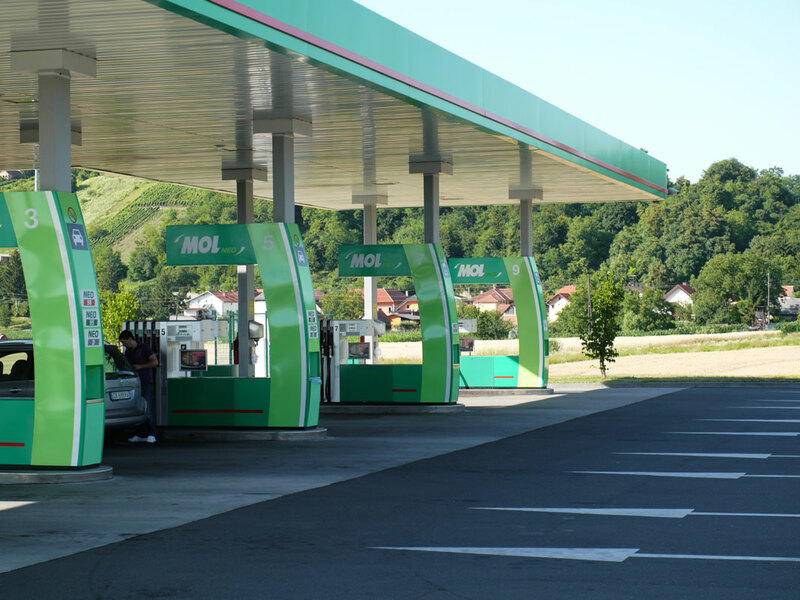 value€5,250,000.00Year(s)2008–2009 ServicesIDP, PGD, PZR, PZI, PID, controlInvestorPetrol d.d., Mol group, MOL Slovenija, DARS d.d.